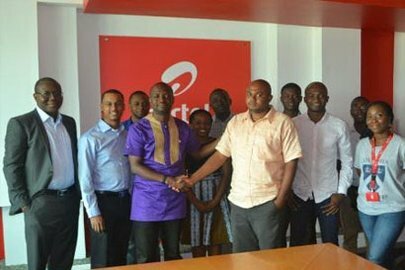 Ghana’s fastest growing telecommunication network and leader in digital innovation, Airtel Ghana, on 15th October announced the winners for the Airtel App Challenge. Out of 82 contesting teams, 3 teams emerged winners. E-Coach, an E-learning application developed by E-coach solution was the ultimate winner. E-Coach is a personal learning companion. This app gives users the ability to take timed tests and get scored electronically. The second place was won by Yocaya Inc. with an app called MediaWire; this app allows media houses to interact with their audience easily, users can stream both TV and Radio stations and also send their contributions (messages) via the station’s chat section created on the MediaWire App. Venue99 was the third; this is an app that allows event planners to easily search for locations that would best suit their events. Individuals with locations suitable for various events can also upload their locations to the app for renting purposes. The overall winner of the App challenge stands a chance of benefitting from an investment of USD 170,000 and a personal cash reward. “All finalists will also have the opportunity to market with the Singtel Group of operators, and our 560 million-strong customer base when the app is commercially-ready,” Jean Claude said. According to him, Airtel believes in the power of potential – that each and every one has in them the ability to realise their full potential which is why each of the 82 “Appsters” who participated in the intensely contested challenge would be assisted by the company to nurture their potentials to the fullest. “At Airtel, we believe in empowering people to realise their full potential – we create and provide the enabling environment for people to shine”. He concluded. Bharti Airtel, the world’s third largest telecommunications services provider with operations in 20 countries across Africa and Asia, with the support of Singaporean Telecommunications Company, Singtel and smartphone company Samsung launched the application competition for startup developers in order to identify and empower the ‘next big app developers’ who are passionate about making their change across the world. The five-month app challenge which started in July this year required participants to develop consumer-centric mobile applications that will leverage on mobile network services – mobile, data, carrier billing, location and SMS. The Global winners will be announced on 8th December, 2015. 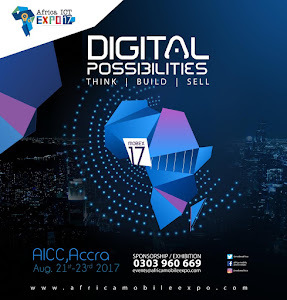 Airtel is Ghana’s fastest growing telecommunication network and leader in digital innovation providing cutting edge solutions to meet the communication, connectivity and collaborative needs of its customers. Airtel is also the most loved telecom brand in the daily lives of Ghanaians.